Euroleague Basketball is pleased to announce that the 2014-15 Eurocup Coach of the Year is Aito Garcia Reneses of Herbalife Gran Canaria Las Palmas. In his first season on the Gran Canaria bench, Garcia Reneses, 68, has led the club to its first-ever Eurocup Finals and the best record in Eurocup history, 21-1. Only one team to date has managed to win the Eurocup title with just one loss - Garcia Reneses-coached DKV Joventut Badalona in the 2007-08 season. 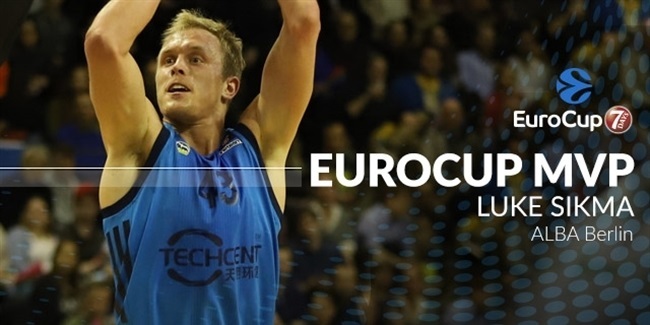 Just like that team, which was chosen as the best in the first decade of the Eurocup, Gran Canaria is a team-oriented, fun-to-watch squad, which ranks fourth in scoring (83.2 ppg.) and second both in performance index rating (99.7) and index rating allowed (67.4). Gran Canaria opened the season with a 12-game winning streak, which saw Garcia Reneses's team finish the regular season undefeated. After a road loss against Banvit Bandirma, Gran Canaria regrouped to win its next nine contests, including sweeps of Cedevita Zagreb, Pinar Karsiyaka Izmir and Unics Kazan to advance to the Eurocup Finals. Now Garcia Reneses and Gran Canaria face the opportunity to make history with what would be the club's first Eurocup title, if they can overcome Khimki Moscow Region for the trophy. The coach who lifted Gran Canaria to the biggest heights in its eighth Eurocup season, broke the club's existing records and rewrote its history in European competitions, the legendary Garcia Reneses is a hands-down choice as the 2014-15 Eurocup Coach of the Year. The Eurocup Coach of the Year is part of an expanded awards structure meant to enhance the recognition of the finest Eurocup participants for their efforts throughout the season. Kristaps Porzingis of Baloncesto Seville was already named the Eurocup Rising Star Trophy winner. 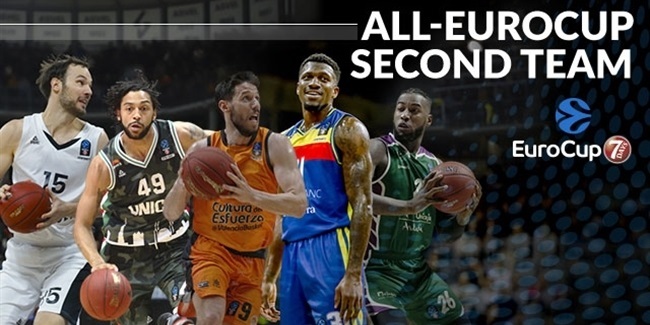 Euroleague Basketball and its in-house experts will also select the All-Eurocup First and Second Teams and the Eurocup MVP. Garcia Reneses becomes the seventh winner of the annual Coach of the Year award, which was introduced in the 2008-09 season. 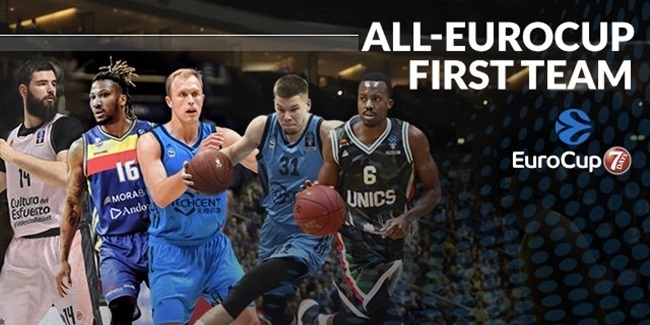 The previous winners are Oktay Mahmuti of Benetton Basket in 2009, Ilias Zouros of Panellinios in 2010, Aleksandar Petrovic of Cedevita Zagreb in 2011, Jure Zdovc of Spartak St. Petersburg in 2012, Fotis Katsikaris of Uxue Bilbao Basket in 2013 and Andrea Trinchieri of Unics Kazan last season. Gran Canaria came off a great season in which it set a club record for most regular season wins in the Spanish League with 22. Garcia Reneses stepped in last summer with the goal to do even better, but he has managed to not only establish a winning culture never seen before in Gran Canaria, but in Eurocup history. A well-distributed offense without go-to scorers has helped Gran Canaria become a dangerous team. Some nine players average at least 5 points per night, with Kyle Kuric (13.6 ppg.) leading the way. Defensively, Garcia Reneses has been loyal to his tradition by playing with a lot of pressure on the ball and relying on 2.20-meter center Walter Tavares, who leads the Eurocup in blocks (1.9 bpg.) and is fourth in defensive rebounds (5.3 drpg.). Gran Canaria was fourth in rebounds (37.1 rpg. ), fifth in blocks (3.41 bpg.) and second-bottom in fouls committed (17.8 per game). Its shooting numbers speak wonders of its ball circulation, as Gran Canaria ranks seventh in two-point shooting (54.2%), second in three-point accuracy (40.6%) and third in true shooting percentage (51.6%). Add that Gran Canaria limits its opponents to 48.4% two-point shooting and 33.9% three-point shooting and you will have the idea of what led Garcia Reneses's team to such success - defense and rebounding leads to offense. Simply put, Garcia Reneses is one of the best coaches in basketball history. Other than his ULEB Cup title with Joventut in 2008, Garcia Reneses has won three other European competitions; he lifted the Korac Cup trophy twice, in 1987 and 1999, with FC Barcelona. He also led Barcelona to the Saporta Cup title in 1986. And Garcia Reneses won the 2007 FIBA EuroCup with Joventut. He coached the Spanish national team to a silver medal at the 2008 Olympic Games. Aito made his coaching debut in 1974 with Circulo Catolico of Badalona, later known as Cotonificio Badalona. He coached Joventut from 1983 to 1985 and finished as the Spanish League runner-up in in his last season there. Then began a 17-year stay at FC Barcelona during which the club joined Europe's elite echelon. As head coach during three different stints, Aito led Barcelona to nine Spanish League titles, took the club to six Euroleague Final Fours and four Euroleague finals in 1989, 1990, 1996 and 1997. Aito was chosen as the Spanish League coach of the year in three different decades - in 1976, 1990 and 2006. More recently, Garcia Reneses coached Unicaja Malaga and Cajasol Seville. He is best known for his work with promising young talents, of which he has helped countless bridge the gap from prospects to bona fide professionals. Among the stars whose careers blossomed under Garcia Reneses are Juan Carlos Navarro, Pau Gasol, Ricky Rubio, Rudy Fernandez and just this season, Tavares and Kristaps Porzingis.